Serena Williams said she has made peace with the fact that she will never be a size 4. Back in 2004, the tennis superstar wrote that she wanted to slim down to a size 4. Now 36 and back on the court after giving birth to daughter Alexis Olympia Ohanian, Jr., Williams told Harper's Bazaar UK that she no longer has that goal. "Oh God, I’ll never be a size 4! Why would I want to do that, and be that?" she told the magazine. She then gestured to her bicep and said, "This is me, and this is my weapon and machine." "But I love that I said that, because I can understand," she added. "I can show Olympia that I struggled, but now I’m happy with who I am and what I am and what I look like." Williams said that when her Olympia was born, she noticed that the baby girl had her arms. "Instead of being sad and fearful about what people would say about her, I was just so happy," she said. 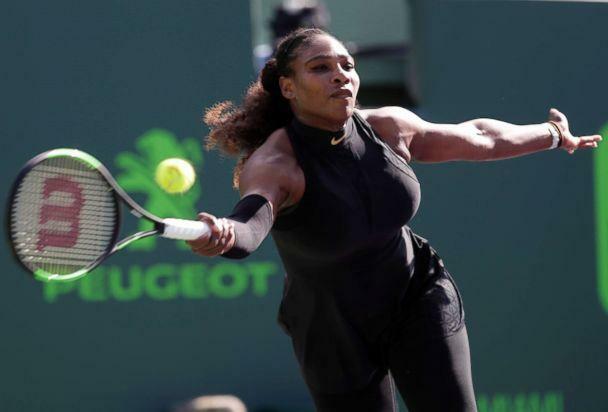 The 23-time Grand Slam champion admitted it wasn't always so easy to accept her strong physique, especially compared to her older sister Venus Williams, whom she followed on to the tennis court. "It was hard for me," she told Harper's. "People would say I was born a guy, all because of my arms, or because I’m strong. I was different to Venus: She was thin and tall and beautiful, and I am strong and muscular -- and beautiful, but, you know, it was just totally different." There have been other struggles for Williams as well. The tennis star, whose daughter is almost nine months old, told the magazine that she suffered from postpartum depression following Olympia's birth. "Honestly, sometimes I still think I have to deal with it," she said. "I think people need to talk about it more because it’s almost like the fourth trimester, it’s part of the pregnancy. I remember one day, I couldn’t find Olympia’s bottle and I got so upset I started crying ... because I wanted to be perfect for her." Today, Williams told the magazine that she constantly strives to be "the best mom I can be," and believes that she's doing a good job. 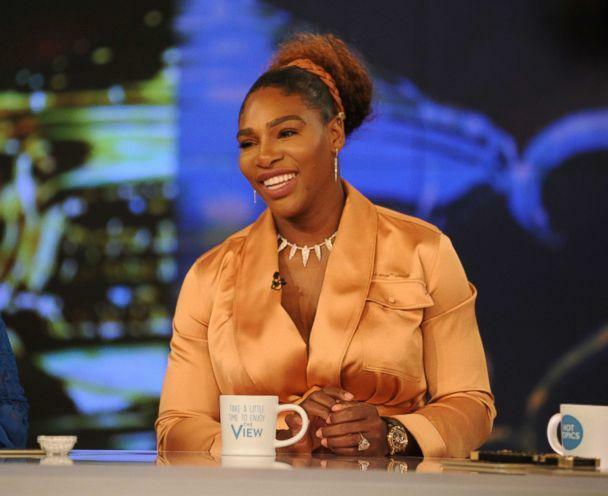 She also wants to empower other women to feel more comfortable being themselves, which is why she recently launched her own clothing line, Serena. "The customer is a girl or a woman who believes in herself, or wants to believe in herself; maybe she’s feeling unconfident that day," she told Women's Wear Daily ahead of the launch. "And someone that is unapologetically themselves, and that maybe they stand out; maybe they stand out because they are strong or they’re beautiful or they want to not be the norm. Our woman is someone who looks at fashion as a compass to show who they are, to show what they are."